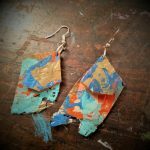 A creative session where we use old jewellery and recycled plastics to create new pieces of wearable or decorative art. 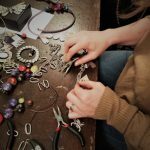 Zoë Adamson, of Adamson Jewellery, will provide the materials and guide you through the process so you can create some amazing accessories. This session we see you make 2 -3 items; articles like earrings, pendants, bangles, rings, keyrings, decorations, fridge magnets etc; the list is endless. 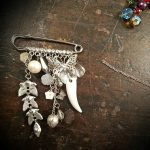 The photos are of pieces of jewellery made on previous workshops at Creartii. 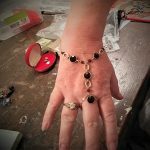 Please feel free to bring along any broken or unused jewellery if you have any.